More than 2,000 books on assassinations, intelligence agencies, intelligence operations, organized crime, covert activities, narcotics trafficking, and other subjects relevant to the study of political assassinations. More than 100,000 pages of FBI Headquarters files on the assassination of President Kennedy obtained under the FOIA. A 48,000 card index to the files of the FBI’s Dallas field office on the assassination of President Kennedy. About 80,000 pages of records obtained under the FOIA which the FBI made available to the House Select Committee on Assassinations (“HSCA”). This file contains voluminous records pertaining to organized crime figures (Marcello, Trafficante, Roselli, etc.) and to Cuban exile organizations, among other matters. Dozens of file cabinets containing voluminous records pertaining to political assassinations: e.g. newspapers and magazine articles, government documents, trial transcripts, unpublished manuscripts, letters, research notes, and material gathered by critics and researchers, etc. 50,000 pages of the Los Angeles Police Department’s investigation into the assassination of Senator Robert F. Kennedy. Valuable audio tapes, video tapes, photographs, and movie films regarding the many controversies about recent American political assassinations. The AARC’s holdings constitute the most extensive collection of records on the JFK assassination in private hands. The collection has been enhanced by the donation of personal files belonging to several researchers and officials including Richard Popkin, Anthony Summers, Earl Golz, Zachary Sklar, Jim Garrison, and others (new donations are tax deductible and are enthusiastically encouraged). For the past several years under the leadership of its co-founder James Lesar, the AARC has been leading a campaign to compel disclosure of the JFK records which have now been kept secret for a half century. The AARC’s efforts to combat government secrecy surrounding political assassinations have resulted in the release and public dissemination of a vast amount of records and information. UPDATE ON MORLEY v. C.I.A. 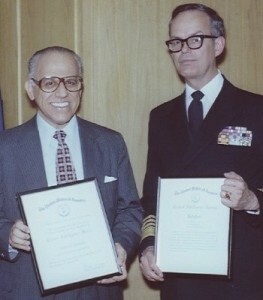 In 2003 Washington journalist Jefferson Morley filed a Freedom of information Act (“FOIA”) lawsuit to obtain records on George Joannides. Joannides was case officer for the for the DRE (“Directorio Revolucionario Estudantil” or “Cuban Student Directorate”). That suit, Morley v. C.I.A., Civil Action No. 03-2545, yielded more than a thousand pages of records on Joannides. However, the CIA refused to search for operational files. On appeal an important precedent was set which required the CIA to search operational files for responsive records. See Morley v. C.I.A.550 F.3d 1108 (D.C.Cir. 2008). According to a front page story in the New York Times, the lawsuit obtained a “treasure trove” of records. The on-line version of the story printed a photograph of Joannides that was obtained as a result of the lawsuit. Other important records obtained included travel records indicating Joannides travel to, or residence at, Miami and New Orleans and a Career Intelligence Medal issued after his final retirement which extolled his achievements. The lawsuit also obtained other significant information. 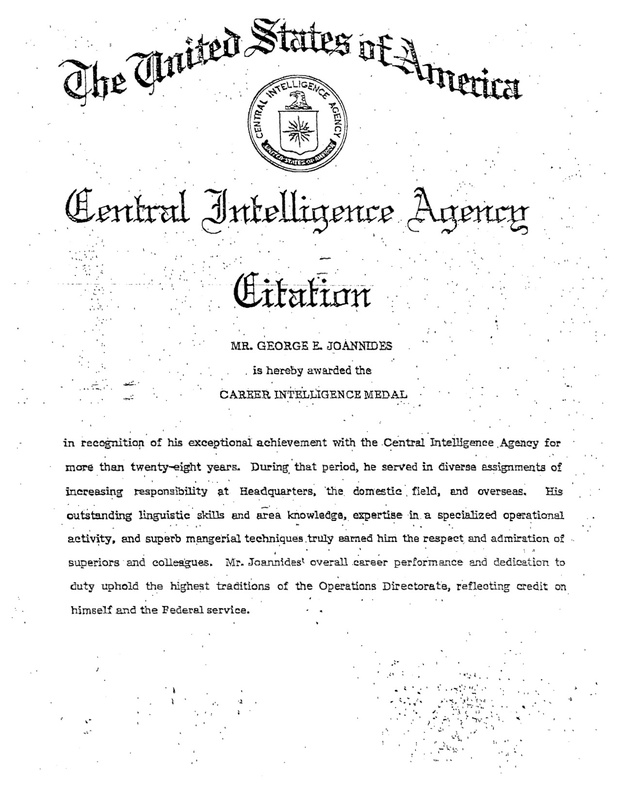 The CIA made the stunning disclosure that that when Joannides was brought out of retirement to handle HSCA’s requests for information about the the DRE, he served in an “undercover” capacity. In that role, he never informed the HSCA that he was the DRE case officer they were trying to locate, nor did he provide the documents regarding DRE’s activities during the period. This violated both the Memorandum of Understanding between the HSCA and the CIA, but, according to the HSCA’s Chief Counsel, Prof. G. Robert Blakey, violated the criminal code provision against impeding a congressional investigation. The effect of Joannides’ activities on behalf of the CIA was to undermine the integrity of the last official investigation into the assassination of President Kennedy. 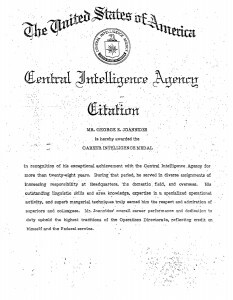 The CIA was successful in withholding 295 documents from its operational files that were responsive to Morley’s request. The litigation over these documents ended in 2010. 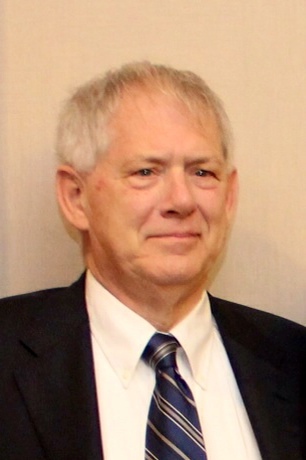 At that point, Morley moved for an award of attorney fees and costs. Judge Richard J. Leon initially found that Morley’s quest for records on Joannides conferred little or no public benefit. Morley appealed. In a per curiam decision, the Court of Appeals vacated Leon’s decision and sent the case back with instructions for him to re-evaluate his “no public benefit” finding in light of the D.C. Circuit’s prior decision in Davy v. C.I.A.. 550 F.2d 1156 (D.C. Cir. 2008), which had overturned Judge Leon’s denial of attorney’s fees in that case. In that case, author William Davy’s suit for records on QK/ENCHANT and ZR/CLIFF obtained some documents relevant to New Orleans District Attorney Jim Garrison’s trial of Clay Shaw for conspiring to assassinate President Kennedy. The Morley court clearly thought that Davy’s finding that that disclosure of these records benefited the public had implications for the Morley case and therefore ordered Judge Leon to reconsider his findings in light of Davy. On remand, Judge Leon again denied Morley’s motion for attorney fees, finding that Davy had produced records that benefited the public but Morley did not. The case is now back in the Court of Appeals for a second go-round on the attorney fees issue. Morley filed his opening brief in the new appeal, Morley v. C.I.A., D.C. Cir. No. 14-5230, on April 20, 2015. The CIA’s brief was due on May 20, 2015, but it moved for an extension until June 22, 2015. Morley’s reply brief is now due July 17, 2015. It is anticipated that oral argument of the case will be scheduled for fall, 2015. The fact that the attorney fees issue is the only issue left in the Morley case does not mean that this ends the quest for records on Joannides. Whether additional records pertaining to Joannides will be obtained depends on (1) possible successful new FOIA lawsuits, and (2) disclosures made under the JFK Records Act either as a result of action by the National Archives or, conceivably, by a lawsuit brought to enforce the Act’s intended goal of prompt disclosure. It is difficult to go forward with any of these possibilities at the present time due to the lack of financial resources. AARC. AARC members receive special offers, discounts, and benefits.